Across the country, activists and low-wage workers are showing that the changes we need will come if people organize and force them. What once was considered “pie in the sky” is slowly becoming law. In New York, state legislators just agreed to raise the state minimum wage to $15 an hour, with the full effect beginning in New York City by December 2018. 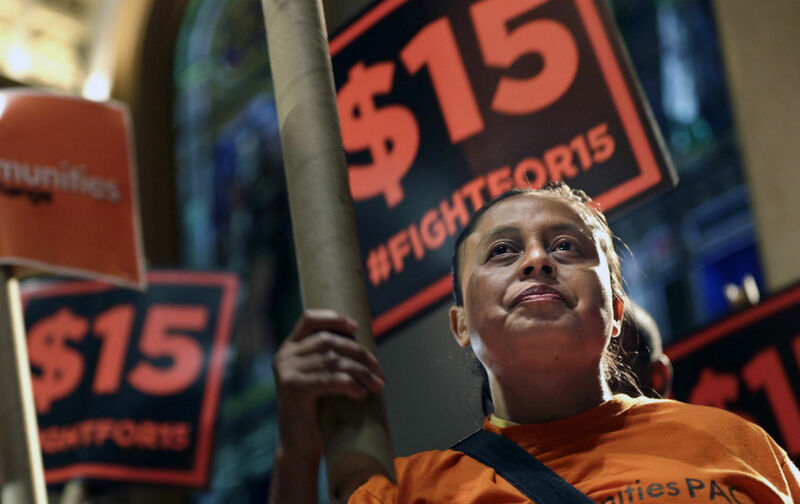 California just passed a compromise raising the minimum wage to $15 an hour by 2022. New Jersey and the District are planning to move similar laws. After New York and California, nearly 1 in 5 (18 percent) in the US workforce will be on the path to $15 an hour. How did this reform go from being scorned as “extreme” to being enacted? Consensus politicians don’t champion it. Pundits and chattering heads tend to ignore it. Many liberal economists deride it as too radical. The idea moved only because workers and allies organized and demanded the change.